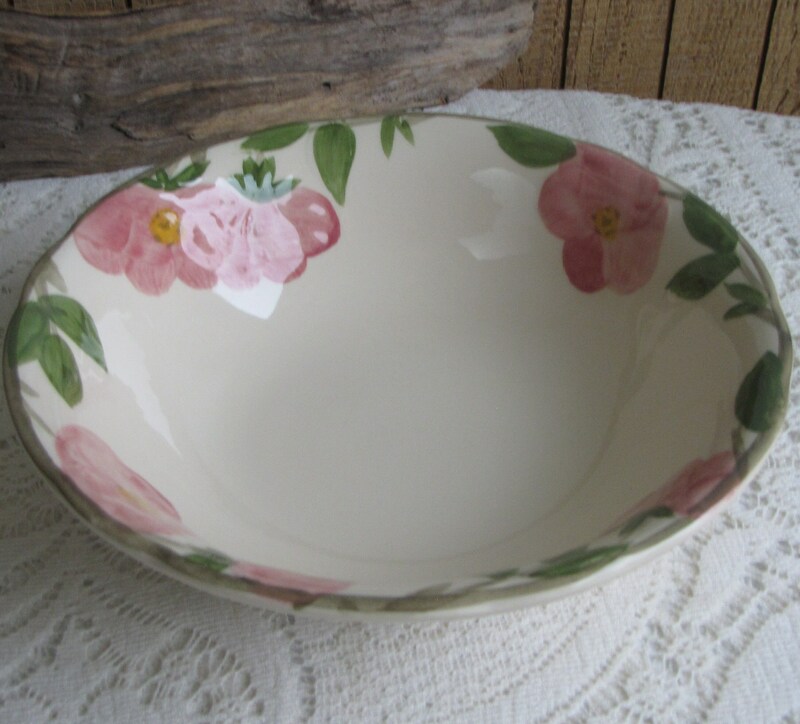 This a Franciscan Desert Rose vegetable serving bowl is dated 1995 and is made by Johnson Bros in England. The backstamp says, “An Authentic Design Classic By Johnson Bros. Made in England.” I haven’t seen this before. 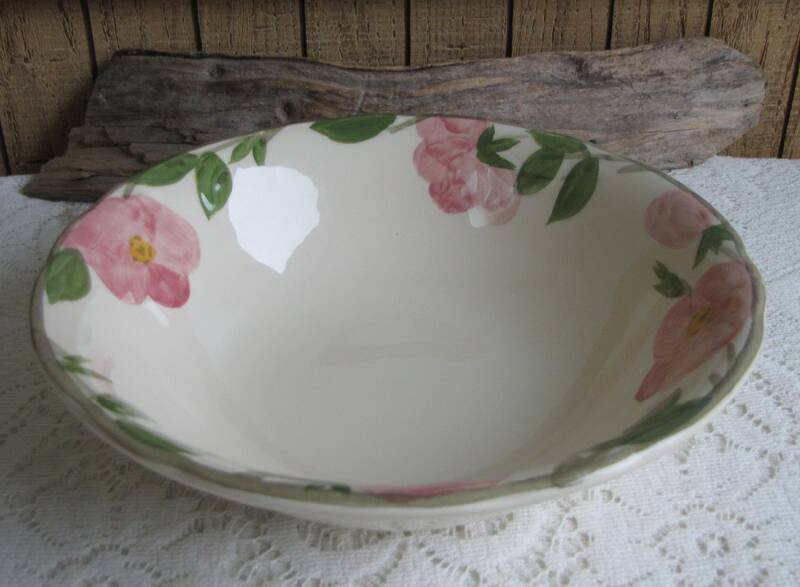 The bowl is in very good vintage condition with no chips, cracks, or crazing; hardly a mark on it. 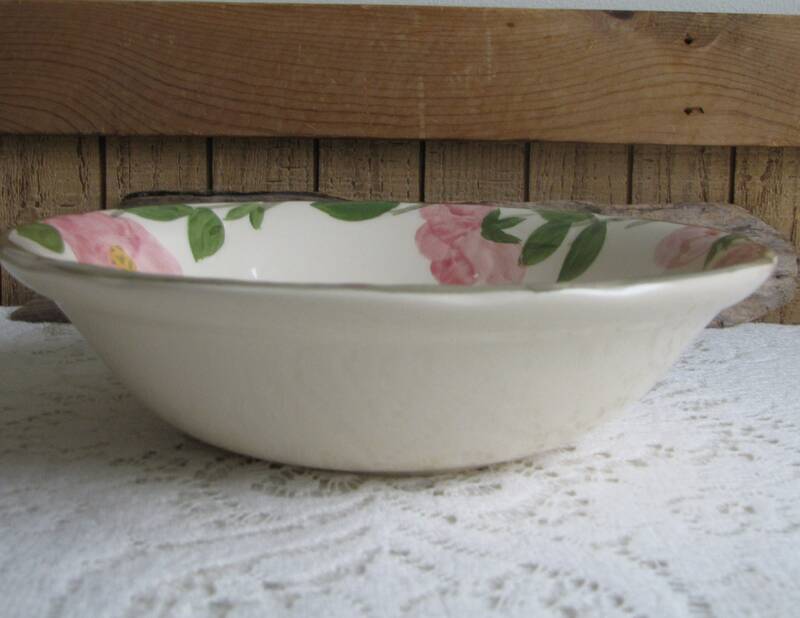 The bowl measures 2 inches tall and 9 inch in diameter. 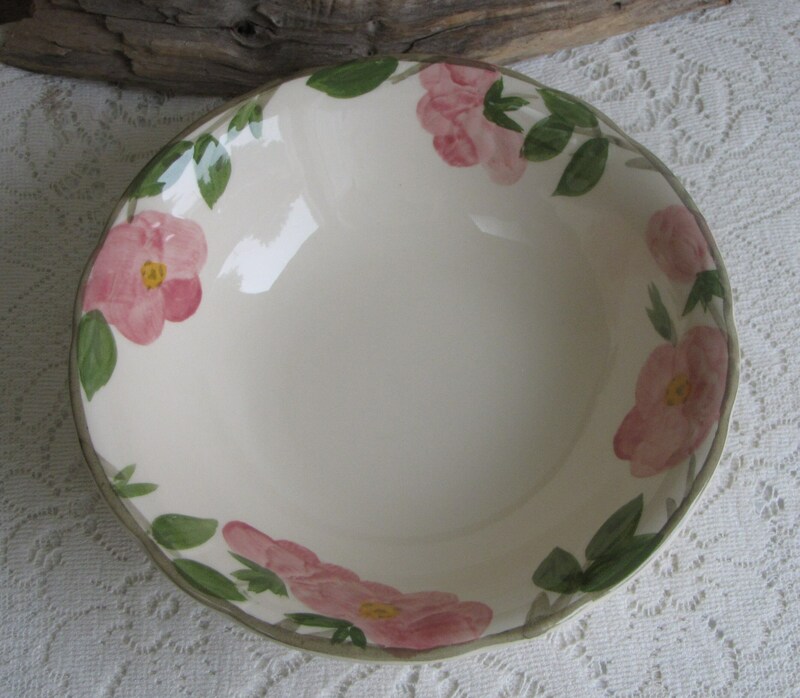 If you are interested in additional selections of Franciscan Desert Rose dinnerware, message me for a discount. 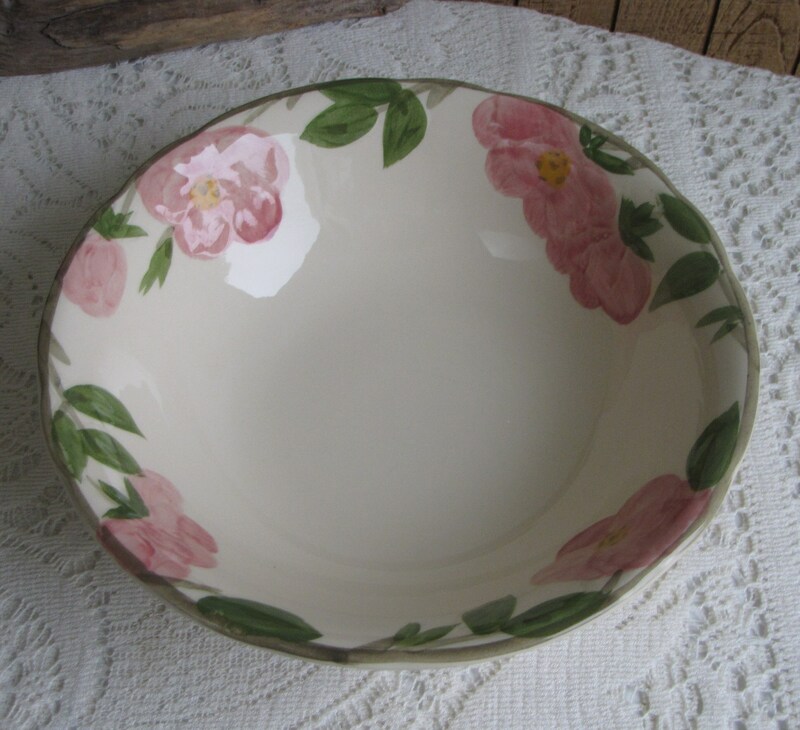 Franciscan started production of Desert Rose in late 1941 until 2010. It has been produced in California, England, and China. 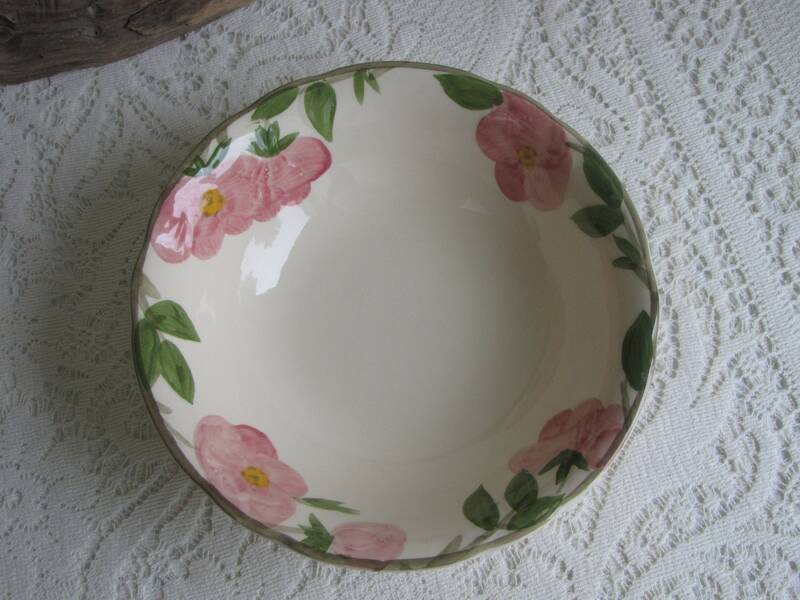 Desert Rose is the bestselling dinnerware pattern in the USA. The rose is modeled after the Rosa Rugosa which is native to the Midwest and northern sections of the U.S. 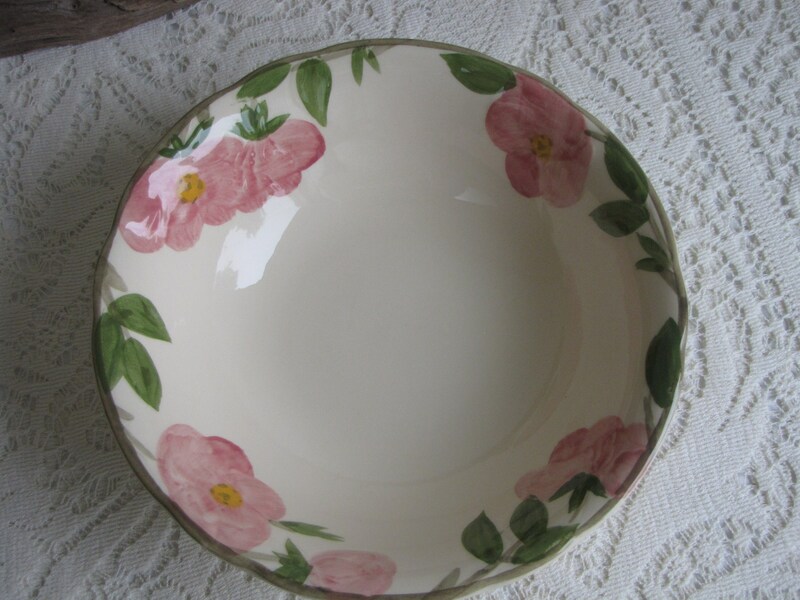 It was named Desert Rose to give the design a connection between California and Franciscan Ware. In 1964 the 60 millionth piece was produced, and Desert Rose is on display at the Smithsonian Museum. 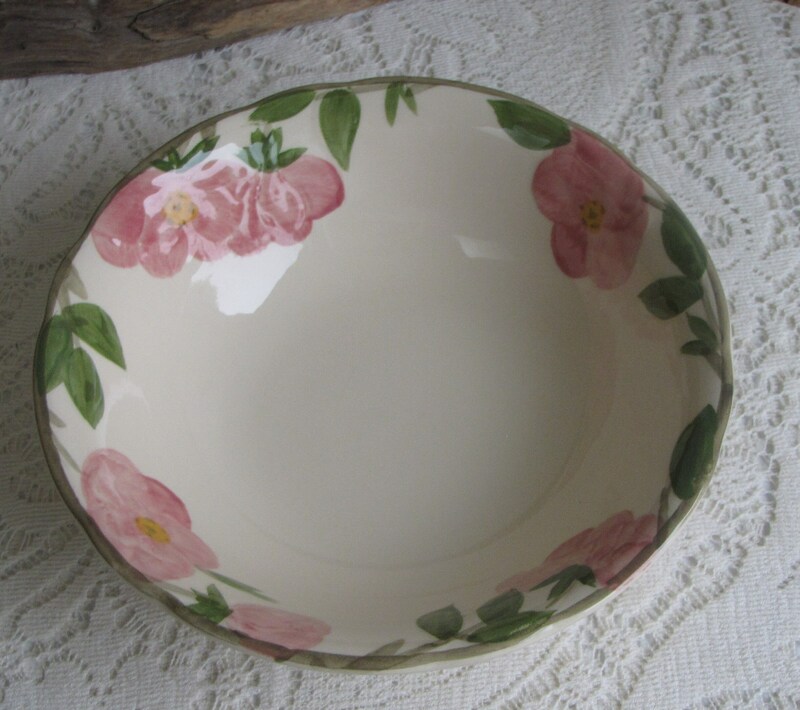 Jacqueline Kennedy chose Franciscan Desert Rose for the White House china. 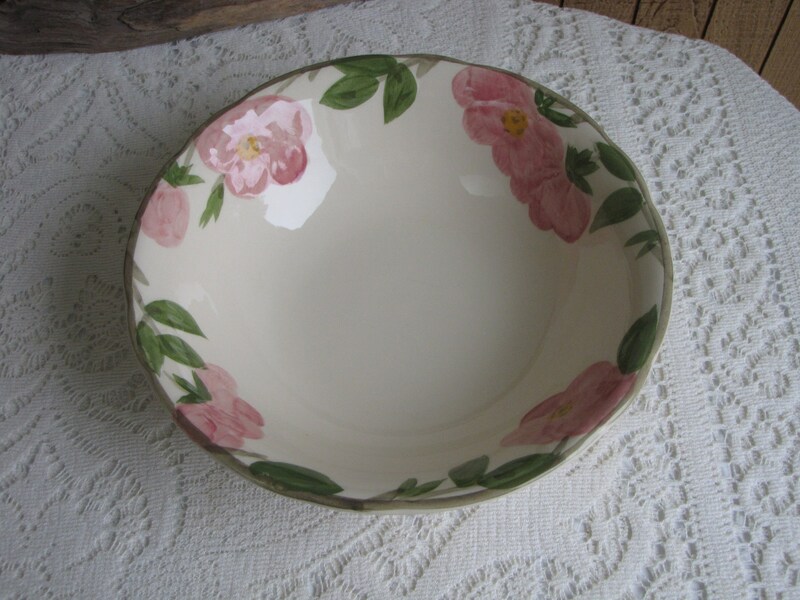 Annette Honeywell is credited with developing the Desert Rose pattern concept. Mary Jane Winans, a designer for Gladding McBean & Company, was responsible for the production design work. 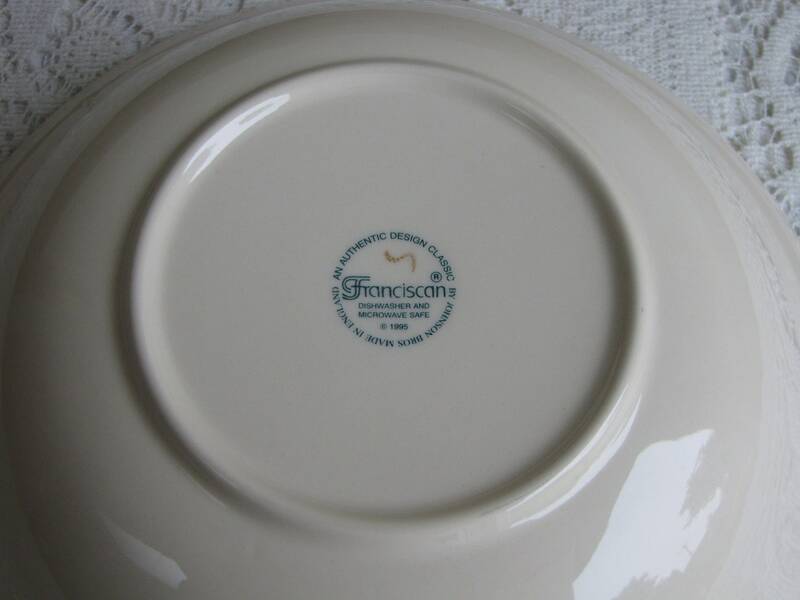 Wedgwood acquired Franciscan in 1979.